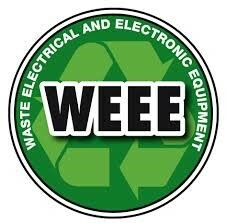 All appliances are new with guarantees from 1-10 years. Trade enquiries welcome. Free to collect in store, moderate charges for home delivery. Our deliveries are flexible. Please refer to shipping tab below. We offer a complete service. or pop in to our local Nottingham showroom. 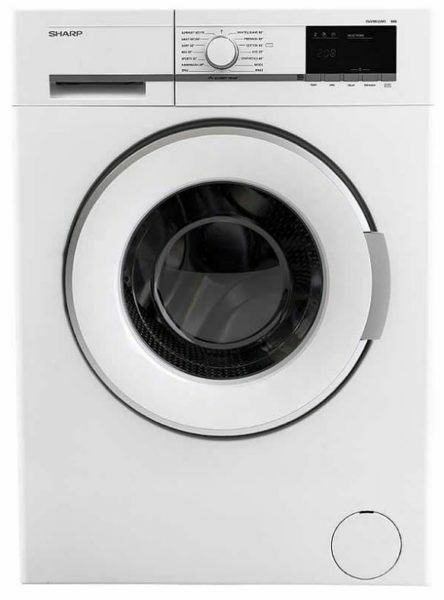 The Sharp ESGL62W is a 1200 spin washing machine with a 6kg wash load. The washing machine has 15 programmes including an allergy program (to further remove allergens and bacteria from the wash), an eco-logic program that will detect when the machine is loaded with a half load and then reduce the wash time and the amount of water used and a quick wash of 15 minutes (reduced load). Safety First – With an automatic door lock and a child lock on the control panel to protect against inquisitive young minds Sharp always makes safety a priority feature on all machines. Wave Cabinet – the specially designed cabinet increases the rigidity of the machine and in the process reduces noise levels creating a stylish and practical solution. The temperature and spin speeds are variable (selected programmes) and there is a delay start option on the appliance. This product's shipping category is standard. Please refer to the table below for an approximate delivery cost. Note that we are engineers as well as retailers, so if you also need fitting or disposal services we are far cheaper than AO or Curry's (and much more reliable)! Important Notice! Shipping charges are for time and mileage, so if you also want us to fit your new appliance and dispose of an old one, please telephone to order the extra services before the delivery! Otherwise the engineer won't have time and there will be extra cost and delay in calling back. Fitting tariffs are here - Fitting & Other Services. 1.1 We, Homesource 4U Ltd., are committed to safeguarding the privacy of our website visitors: we never share any information about our visitors or customers with any third party and any information we acquire is securely stored to the best of our ability and in full accordance with industry standards and professional codes of conduct. In this policy we explain how we will treat your personal information. (d) information relating to any purchases you make of our goods OR services or any other transactions that you enter into through our website shopping cart. Note however that Homesource 4U Ltd does not record sensitive details like bank card numbers from visitors using our shopping cart system. Financial transfers are delegated to an even more secure specialist financial transfer service provided by SagePay – an industry leader in security in this area. (e) If customers provide sensitive information like debit or credit card numbers by other means (eg phone or email) Homesource 4U Ltd do not store this information beyond the duration needed in order to complete the transaction the customer has requested. with the licence you grant to us. 3.4 We will not, without your express consent, supply your personal information to any third party for any purpose with the exception of law enforcement agencies in the event of suspected fraud or attempted information theft or sabotage, or other abuses including denial of service attacks, phishing activities, email exploits or bandwidth theft. 3.5 All our website financial transactions are handled through our payment services provider, SagePay. You can review the provider’s privacy and security policies at http://www.sagepay.co.uk/policies. to order disclosure of that personal information. 6.2 Personal information that we process for any purpose or purposes shall not be kept for longer than is necessary for the purpose or purposes for which it was provided. 7.5 If you are issued a password and login to access our website or other digital service areas you are responsible for keeping the password and login you use confidential. 8.3 We may notify you of changes to this policy. (b) the supply of appropriate evidence of your identity (for example, we will usually accept a photocopy of your passport certified by a solicitor or bank plus an original copy of a utility bill showing your current address). 9.2 You should be aware that not all information regarding you is covered by this Act, and that some can in principle be witheld to the extent permitted by law. 9.3 You may instruct us at any time not to process your personal information for any marketing purposes. 10.2 We have no control over, and are not responsible for, the privacy policies and practices of these other parties. requests a page from the server. 12.5 At time of writing (September 2016) we only use persistent cookies on our website if you register and log-in, in which case it enables us to save your shopping cart between sessions. Otherwise the shopping cart will only use a session cookie for this purpose. 12.8 Blocking all cookies will have a negative impact upon the usability of many websites. If you set your browser to block all cookies, you may not be able to use all the features on our website. 13.1 This website is owned and operated by Homesource 4U Ltd.
registered office is 182-4 Carlton Road, Nottingham NG3 2BB. 13.3 Our principal place of business is same as above.